In this review, we’re going to take a look at the very best 88 key keyboard you can buy today, whether you’re a brand new student, you’re looking for a replacement for your acoustic grand piano, or you need the very best sound modelling. Full size pianos are certainly a thing of real beauty, and are one of the most distinctive and charismatic instruments. The problem of course is that they’re big, cumbersome and static, which means that they just aren’t convenient for a lot of people. Being acoustic, they’re also limited in that they don’t offer any additional features to help you learn or change your sound. Enter the size digital 88 key keyboard - a full sized electronic option that is designed to replicate the sounds of a piano as well as possible, while giving you a variety of digital benefits, plus of course a dramatically smaller form factor. What is an 88 Key Keyboard? How Many Keys On Piano? How Many Piano Keys Do I Need On A Keyboard? Now let’s take a look at 10 of the top 88 key keyboards on the market, all available for you to buy today. 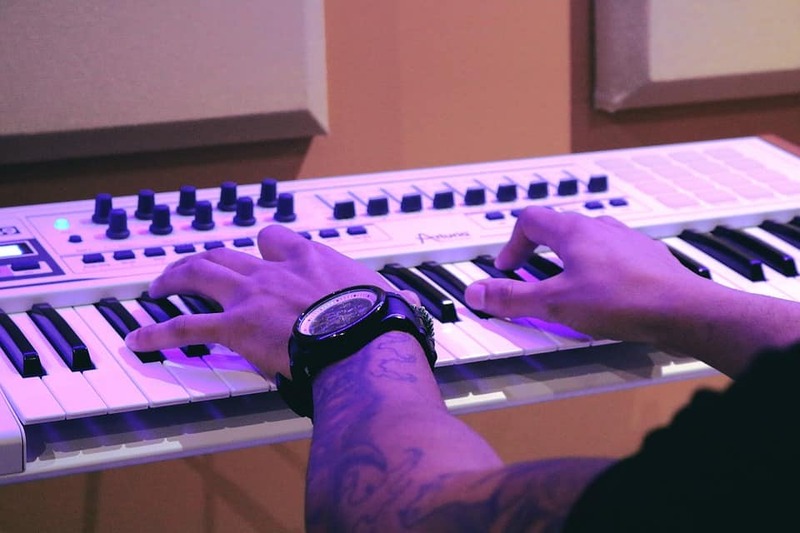 From budget to premium, and 88keyed digital piano to MIDI controller, we’ve considered it all. Alesis Professional are now a very well known name in the electronic music industry, and have a reputation for making some excellent weighted keyboards that rival premium manufacturers without the equivalent price tag. The Coda range is one of their best selling keyboard ranges, and it’s the Coda Pro that we’ve chosen to include here. It’s full-size 88keyed weighted keyboards been designed for a wide range of uses, from students in their bedrooms to live use. We can tell you straight away that it’s a superb option, with some nice features at an excellent price, but let’s look at things in a little more detail. There’s little more to say other than that this is a great sounding digital keyboard with key weights - all 20 voices are excellent, and you’d be hard pressed to tell that this isn’t a keyboard that costs two or three times as much. The hammer action weighted keys go a very long way in making the Coda Pro feel like a quality instrument. They help the digital keyboard feel more like a 88keyed digital piano (click for digital keyboard under $500), and generally are just very nice to play. Each key is made well too - you won’t find cheap feeling plastics here. The Coda Pro is a nice looking digital keyboard, with a clean black finish, a symmetrical design, and cool angular speakers. Highlights are in red. Again, this all helps it to look like a premium product. It has a USB port, as it is a USB MIDI. We’ve already mentioned Alesis’ reputation for value, and it certainly continues here. The Coda pro stacks up very well indeed against considerably more expensive keyboards. 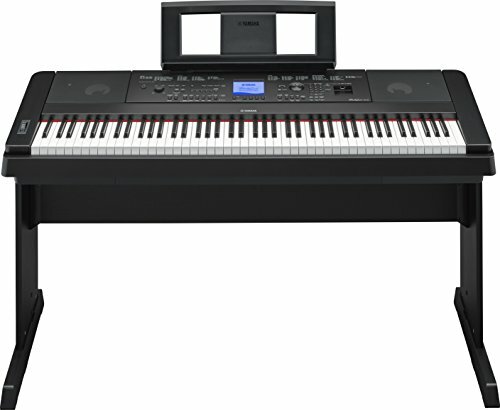 You can try the Alesis Recital 88key beginner digital piano as an alternative. Why We Liked It - There are plenty of features on the Coda Pro, which make it a very versatile digital keyboard indeed. You get 88 weighted keys with hammer action, 20 built-in voices courtesy of AiR Music Technology & SONiVOX, 60 preset songs, 50 patterns, and lesson modes. You can also record your own stuff on the keyboard itself, which is a nice touch. Outputs come in the form of USB-midi and midi din, ¼ inch aux, ¼ inch headphone jack ,and there’s a stereo ¼ inch aux input. Everything you need for peripherals. One of the top names in instrument manufacture, both acoustic and electrical, Yamaha digital pianos will be featuring a lot in this list. They have an extensive range of quality products at a broad range of prices, with a broad range of needs in mind. First up however is the DGX-660. This is a top, top digital keyboard that should be on the list of anyone that has a good budget for their 88key weighted keyboard, and offers almost everything most players might want. Check out an 88key upright piano as an alternative. 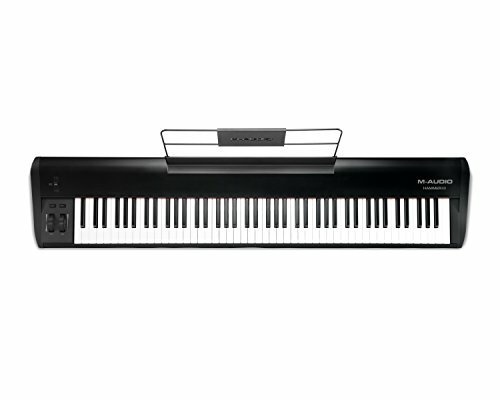 Yamaha have gone to great lengths to make this digital keyboard sound great and it really shows. It uses genuine grand piano sampling, and you can even set up different voices combined with room type. All of this sounds amazing from the high-quality speakers. All Yamaha products are made well, and the DGX-660 is no different. Everything feels high-quality, with nice key and button feel along with hardy construction. Ideal if the keyboard will be travelling. There’s nothing overly special about this keyboard in terms of its looks, but all of the components are well laid-out, and the LCD screen looks good. You can try the Yamaha YPG235 as an alternative. This isn’t a cheap option, but it’s not hugely expensive either. It’s also available as a superb bundle which really helps the value factor. If your budget stretches this far, then you should certainly take a look. Why We Liked It - There are extensive features on the DGX-660; almost too many to mention. You have all of the standard ones that you’d expect on a keyboard of this price, including recording, lessons and nicely weighted keys. But you also get a great LCD screen to instruct you (you can also try the instructional books), and the potential for wireless link-up with phones and tablets (with added Yamaha adapters). You may well have never heard of Virgin Musical Instruments - they aren’t a large or famous manufacturer, but they now have a large products range with lots of quality products in it. The Artesia range includes everything from headphones to monitors, and features digital keyboards too. 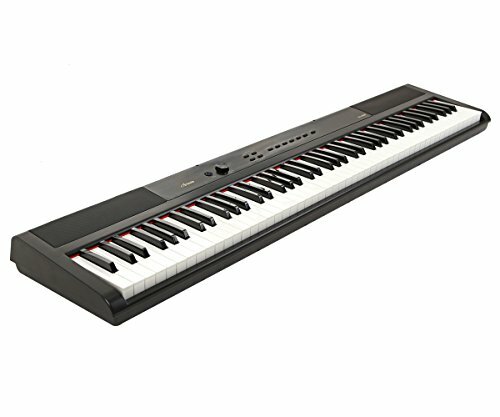 We’ve taken a look at the PA-88W, which is a full-size 88key weighted action digital piano at one of the lowest prices you’ll find. It’s made in China, but designed in the USA. There are eight different voices to pick from, along with a variety of effects that you can place on the sound such as chorus. The PA-88W does show itself as a lower end option here - it doesn’t sound like a grand piano, but it’s not bad at all. Quality generally seems to be pretty good despite the price, though there are likely to be a couple of squeaky keys, and the key weights aren't as good at mid-range and top-end instruments. As you might expect, the styling is very plain - it’s as basic as can be, but it’s certainly not bad to look at. For beginners and those who just want something to try out or play around with, the PA-88W is a fantastic choice. It’s extremely good value, and has decent functionality for the price. You can always pair it with apps and higher quality speakers at a later date. Why We Liked It - You won’t find a huge number of features on this budget digital keyboard, but you will find plenty of connectivity, which ultimately means that you’re able to plug in any extra bits that you need such as learning and recording apps. The next Yamaha on the list is the affordable and excellent Yamaha P71. It’s one of Yamaha’s more basic options, but that’s mainly by design - this is a slimline and lightweight keyboard that’s clearly been designed for those that travel, or that don’t have a lot of storage space. 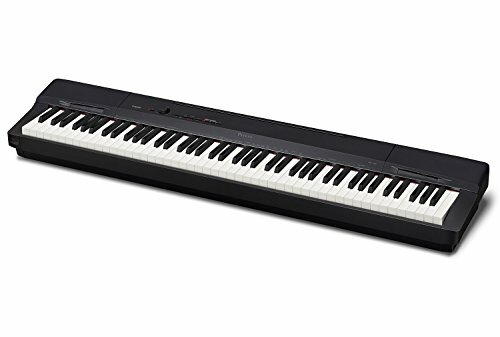 That said, it’s still a full size 88key weighted digital keyboard that offers much of what most players will need. We really like the sound on this Yamaha P71 - it’s good quality and the speakers do a nice job. There are ten voices to choose from, including samples straight from Yamaha’s most prestigious grand pianos. You can also blend voices together. It’s a Yamaha, so clearly you’re getting good quality, and that’s even despite the fact that this is a slim and lightweight digital keyboard. It’s still nice and robust. The Yamaha P71’s lack of features and one-touch system means that it actually has quite a cool minimalist design to it, which is likely to appeal to a lot of people. We really like it. As previously mentioned, the slim design makes for a nice alternative to the thicker, feature-heavy variants. This is an affordable Yamaha product - there’s no question. However, the functionality is relatively limited - you can get more features for the same money, though not in quite such a lightweight package. Why We Liked It - Fairly simple on this Yamaha P71, with just a few voices that we’ll get onto in a second. You do however also get some beautifully weighted keys that very much feel like they’re actually triggering hammers on strings, complete with authentic differences between high and low notes. You almost certainly knew that Casio made watches, but did you know that they make keyboards too? The one we’ve got here is the Casio Privia PX160, which is one of the full-size options in the Casio range, which is designed to offer a decent mix of value and features in what is a mid-range 88keyed digital piano. Casio market the Privia PX160 as beginner to intermediate options, and we’d certainly agree. The speakers are of a very high standard on this Casio Privia, but what stands out is the quality of the samples, and the digital keyboard’s ability to split and layer sounds to create a very full and authentic tone. It’s high end stuff, and we’re very impressed. As with most Japanese instrument manufacturers, Casio have a pretty good reputation for quality and reliability, and if you check out some owner reviews you’ll see there are few to no complaints about the finishing on this model. It’s not the most attractive digital keyboard on this list, but it’s not bad to look at either. What’s more is that you can buy it in the usual black, or a pale gold. This isn’t an expensive digital keyboard at all, so it was always going to score highly for value. There aren’t too many features though, so of you’re looking for lessons and other functions the value might not be that great. Check out the alternative Casio PX860. Why We Liked It - This is another digital keyboard that has been designed to emulate a grand piano as best as possible. You won’t find lesson modes and things like that, but you do get excellent weighted keys with hammer-action, along with line-level connections. Class compliant USB means you can use the Privia PX160 with your PC or Mac without drivers. Next up is a premium option from Kawai. This Japanese manufacturer is well known for making superb grand pianos as well as electronic instruments, so you can be confident that you’re getting a seriously good digital keyboard here. The one we’ve chosen is the ES110, which is a more affordable and portable grand Kawai model - it’s a modest looking thing without screens or banks of switches, but it’s a very good intermediate option. Using what they call harmonic imaging technology, the samples that Kawai use are an extremely faithful representation of how their grand pianos sound, delivering a rich, vibrant and warm tone. This is a premium product with premium build quality, though Kawai has also done a very good job of keeping things nice and light. It’s a sleek design, with all of the buttons constrained to one strip on the left, and the speaker strip runs elegantly across the top of the board. We like it a lot. The ES110 is going to cost you more than most of the other digital keyboards on this list, and you can get the same functionality for quite a bit less, so this one might not be considered great value for money unless you’re willing to pay a premium for class-leading ability. Why We Liked It - In addition to the class leading key feel, you also have a built-in metronome, along with lesson modes, split digital keyboard options, and dozens of different drum tracks. Don’t let the lack of loads of buttons deceive - there’s plenty of functionality. Nektar is another one of those lesser known piano brands, but you really need to listen up for this particular digital keyboard, because it’s a very interesting choice. Despite the very low price, this is a feature-packed 88key MIDI keyboard that does just about everything you could want a MIDI keyboard to do. Read on to discover why we think it’s well worth taking a look. With the right tools, you can make this thing sound pretty much however you want it to, but that does mean it’s hard to say exactly whether the sound is good or bad - it’s reliant on everything else you plug it into. There’s plenty of customization though. Quality isn’t bad at all despite the low price. The keys feel quite nice, without any finishing issues. The whole unit feels well screwed together. The LX88 is a good looking piece of kit, with its nice flat, smooth finish, and colored drum pads and knobs. It’s actually more attractive than most other digital keyboards on this list, and certainly fits with the aesthetic of electronic music that you might want to make with it. 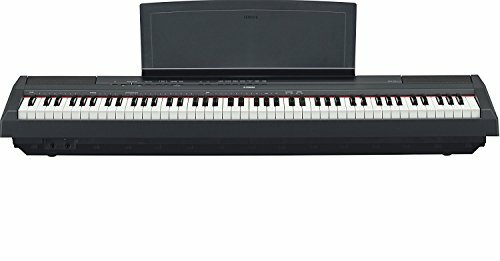 For a MIDI keyboard of full size with 88 semiweighted keys, this is a great price, and is one of the cheapest available, but do be aware of course that unlike the normal keyboards on this list, it has not built in speakers or anything like that, so you will need to invest in other areas. There are some pros and cons we'd like to inform you of! Why We Liked It - This is a MIDI controller keyboard that you can use with just about all MIDI software on your laptop, desktop, Mac, or whatever else you have in mind. You get split/layer, 8 drum pads, and an assortment of faders and other knobs that allow you to fully control the sound. It’s a great range of features that means you won’t need many accessories. 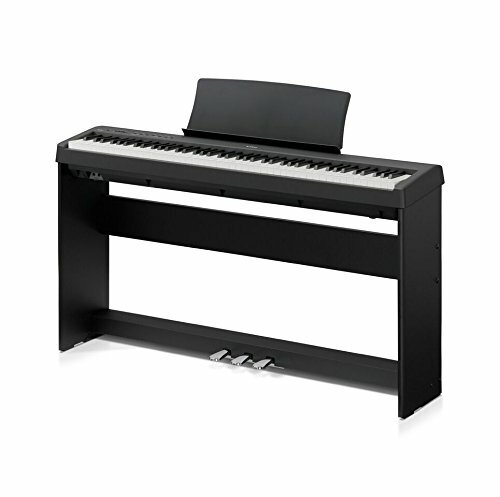 The final Yamaha on our list is the P115, which is a mid to high end digital piano that will appeal to those looking for a really good, all round performer. It’s still classed as being a lightweight and portable keyboards, but it has plenty of good features, and is one of the more premium options on our list. Let’s take a look at why the Yamaha P115 comes well recommended. Of all of the digital keyboards on our list, this might be the best one at replicating the sound and feel of a real acoustic grand piano. With 192 not polyphony and damper resonance, it does a fantastic job of sounding both full, and authentic. Build quality is very good indeed - you shouldn’t have any concerns about finding uneven key heights or unwanted noises out of the box. You do actually have the option of ordering the Yamaha P115 in either black or white, which makes a nice change from the typical black digital keyboard, but it looks good in either color. The buttons are fairly small, as are the speakers. 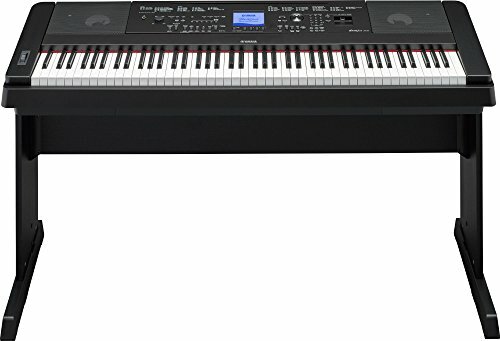 The Yamaha P115 sits somewhere in the middle of what you can pay for a digital keyboard, but it is possible to get more features for less money. You might not be able to achieve the same quality of sound as you do here though. Why We Liked It - There are 14 different voices to choose from, along with effects, and plenty of connectivity options, including the prospect of using this with iOS devices. You also get a useful sound boost function for when the Yamaha P115 needs to stand out. Finally, there’s an innovative split system that means the digital keyboard can be split into two 44 key sections for duets or practice with a teacher. 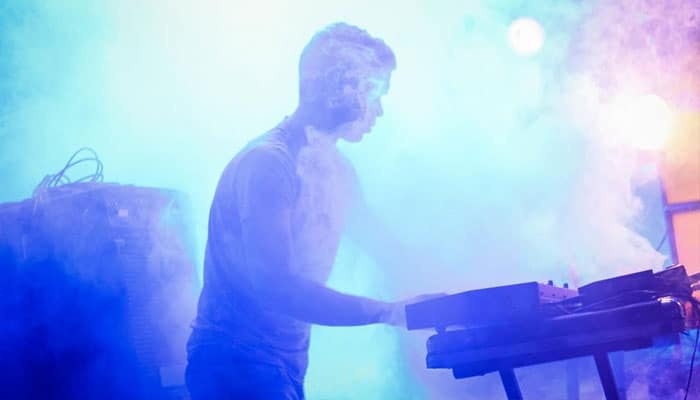 Korg are a very big name in the music industry, and their digital keyboards are some of the best. The Japanese manufacturer is known for making lots of high quality products, ranging from effects pedals to leads, and also own famous guitar amplifier brand Vox too. 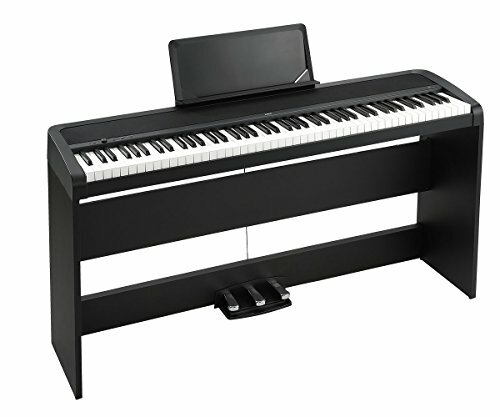 The B1SP is the 88key weighted digital piano that we’ve picked for this list. As with others, this one is classed as a digital piano, and aims to replicate one as best as possible. This is one of Korg’s more entry level products, though that does put it in the mid range overall given the piano brands quality. The speakers on this Korg are absolutely fantastic and are possibly the best of all the keyboards we’ve reviewed. MFB servo technology and a passive radiator mean that the B1SP does a fantastic job of reproducing the deep, full and crisp sounds of an authentic grand piano. This is a really high-quality unit despite the price. Everything feels very substantial and well made, but still, the keyboard manages to be relatively lightweight. Just as you’d expect from Korg. Without a doubt the best looking keyboard on the list, the B1SP is beautifully designed, with a minimalist aesthetic and discreet buttons and knobs. The highlight is, of course, the sweeping speaker vent that runs the entire length of the instrument. 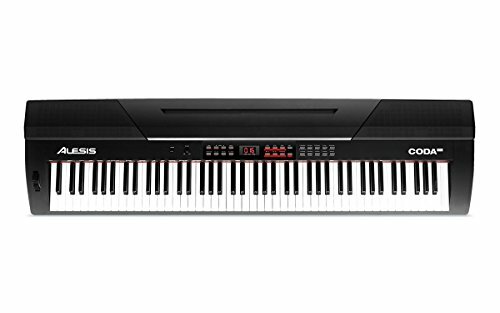 This is a very good value 88key digital piano. Sure, it doesn’t have lots of built in features, but it’s very good at emulating a piano, both in feel and sound - so if that’s what you are looking for, then the price will be very attractive indeed. Why We Liked It - The B1SP is the same as the standard B1 in every way except that it comes complete with pedals, which is a very nice touch. You get excellent hammer action keys, and eight different voices. The features do end there though - this is a fairly straightforward bit if kit designed to replicate a piano more than anything. 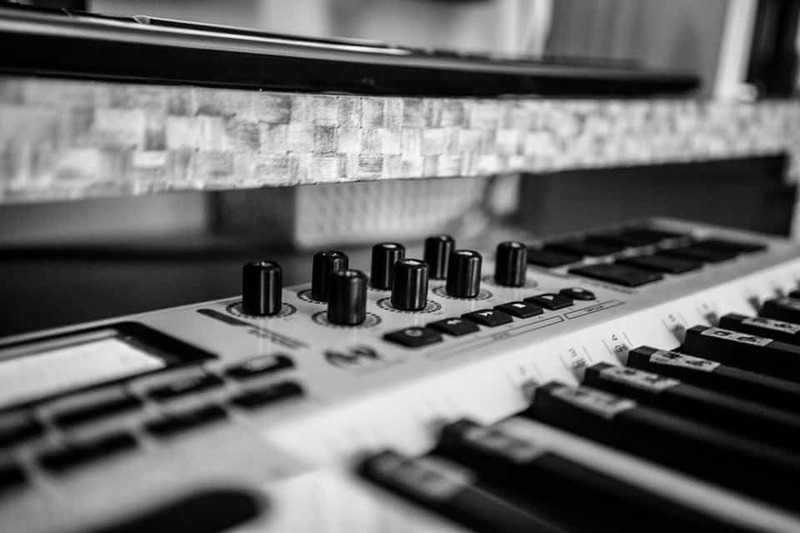 M-Audio are a fairly big name in the electronic music industry, and make everything from monitors to software, but they place a big focus on MIDI creativity. The Hammer 88keyed home digital keyboard is the one we’ve included here, and it’s a really solid mid-range option for those that place a big priority on how their controller feels to play. It comes with plenty of software to get you going too. As this is an electronic keyboard, we naturally can’t comment on how the unit sounds in itself, but the touch responsive keys that replicate velocity are sure to mean that the way you play really shows in the sounds produced. This is a fairly hefty and heavy keyboard that doesn’t really feel like it’s a mid price product at all. It all feels very robust indeed, although the weight may well be a downside for some buyers. At 40 pounds it’s almost double the weight of some lighter alternatives. This is a no-frills keyboard with no-frills design, but that’s not necessarily a bad thing. It’s a clean look, though the switches and sliders, which are located on the left of the board, do look a little cheap in comparison with some of the other keyboards we’ve reviewed. This is very, very good value 88 key MIDI keyboard, that’s perfect for people who’ve already got the peripheral hardware and software to get the best out of a MIDI controller, but want great feel without spending a lot. Why We Liked It - This is another MIDI controller keyboard, so there are no speakers or anything, but you get some controls such as the 88keyed digital piano with weighted keys, sustain pedals, pitch bend, modulation and more. Unlike the Nektar, there are no drum pads. You do however get excellent hammer-action, velocity touch sensitive keys which are going to be a big selling point for a lot of people. Before you can make a decision, it always helps to know exactly what you’re looking at with our buying guide. With this in mind, we’ve put together this buyers guide that reflects the various categories that we’ve reviewed each keyboard on. This is going to be one of the most important considerations to make because it’s the factor that really differentiates most keyboards from one another. Being electronic, there are a lot of different features that can be potentially packed in. Let’s take a look at some of the most common ones that you might want. Realistic keys are an absolute must for a lot of players because they feel much nicer to play. They aim to replicate the weight on each key as the hammer would move on a real piano, and change as you move from lower to higher notes. Lesson modes and metronomes may be important functions for some, which can help beginners either learn to play or fine-tune their skills. Connectivity is likely to be fairly important to a lot of players too. You might wish to output the audio from the keyboard into your headphones with a headphone jack, a PA or even your computer. As a result, you should always check to see what connection options are available on the keyboards you’re looking at. The sound is incredibly important for acoustic pianos, and manufacturers will strive to craft the very best sound by using specialist techniques, materials, and designs. When it comes to keyboards, things are a little bit different, because there is no acoustic sound being produced at all. The keyboard is simply playing a sample from a genuine piano, which is electronically altered. See the differences, pros, and cons between a digital and acoustic piano here. As a result, when you’re thinking about the sound you’re going to get from your keyboard, you’re not going to be thinking about the usual considerations. 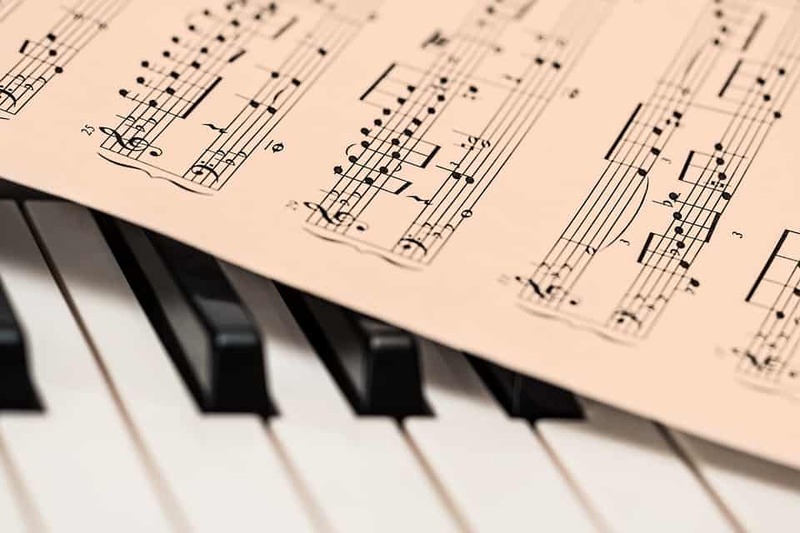 The first thing that you might want to look at it how the sample has been acquired - Yamaha, for instance, take their electronic sounds from recordings of their most prestigious concert grand pianos. Higher end products will use better samples. You’ll then also want to consider the sound options you get on the keyboard - from the different voices to the effects you can place on them. Finally, there are the built-in speakers. These can make quite a large difference to the quality of the sound that’s produced if you’re not using headphones. The better the speakers, the clearer the sound will be, and the better it will be able to reproduce the feel of a real piano. You’ll be able to feel deeper low notes and crisper highs. Note that many MIDI keyboards don’t have speakers built in; they’re designed to be used with other hardware. As with all instruments, quality is an important thing to think about. 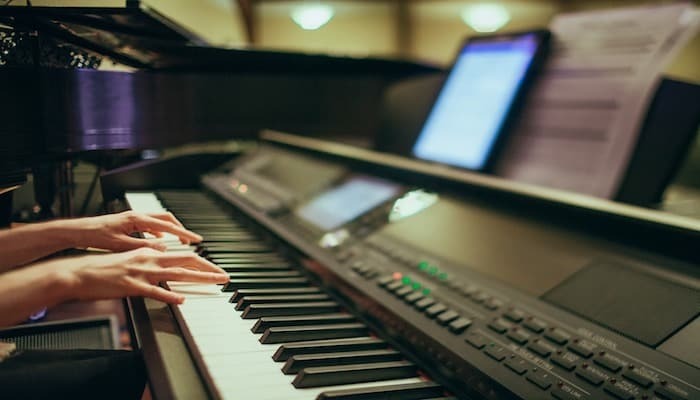 Keyboards that haven’t been made particularly well might not stand up to the rigours of being moved about a lot, which is something that keyboards often have to do if you're putting them in and out of storage, taking them to practice elsewhere, or even playing at a concert. Check out user reviews of older models to get an idea. Design won’t be important to everyone, but given that instruments can be works of art in their own right, it’s always worth thinking about. Do you prefer your electronics to be sleek and minimalist, or do you like the look of banks of switches, sliders, and knobs? There’s plenty to choose from, and although most electric keyboards come in the usual black, look out for the couple on this list that is also available in white. It doesn’t matter what you’re buying - everyone wants value. We’ve briefly mentioned this in each and every one of our reviews to help you decide if you’re spending your money well. Budget options are naturally attractive, but that doesn’t always mean they’re a great value. Some mid-range products that are a bit more expensive are an actually great value because they pack in a lot of features or have great quality. Quite simply, an 88 key keyboard is one that has the full size scaled hammer action, with 52 white keys and 36 black keys. It’s the most common type, though many other sizes are available. 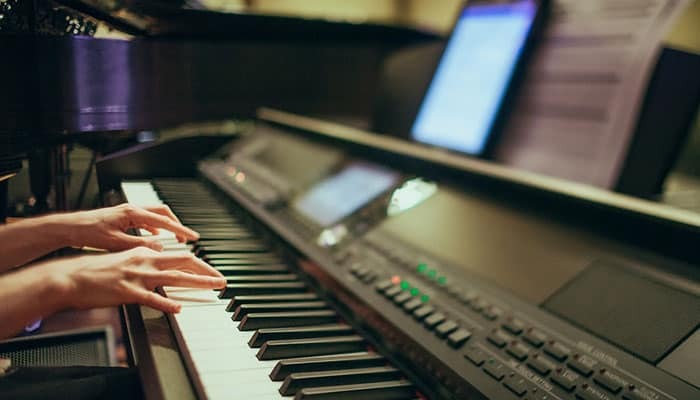 A standard, full-size piano has 88 keys, comprised of 52 white keys and 36 black keys, which translates to seven full octaves plus a minor third. 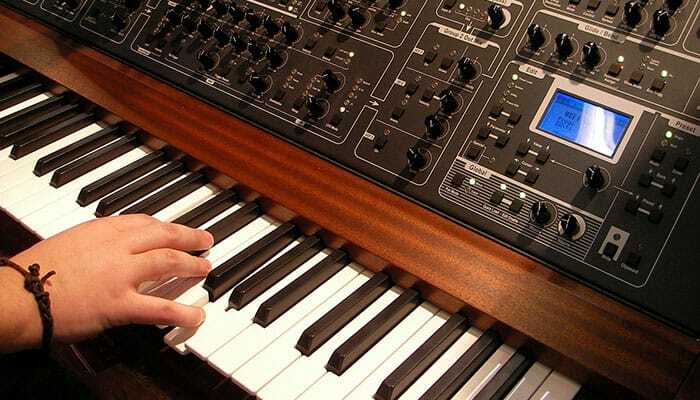 Some older pianos did have fewer keys, and some synthesizers can have as few as 25. This is a question that gets asked quite a lot, especially when space is a real constraining factor. To fully be able to play the keyboard well, you are going to need the full 88 keys. However, beginners can get away with smaller 76 or 61 key instruments if they’re just learning the basics. 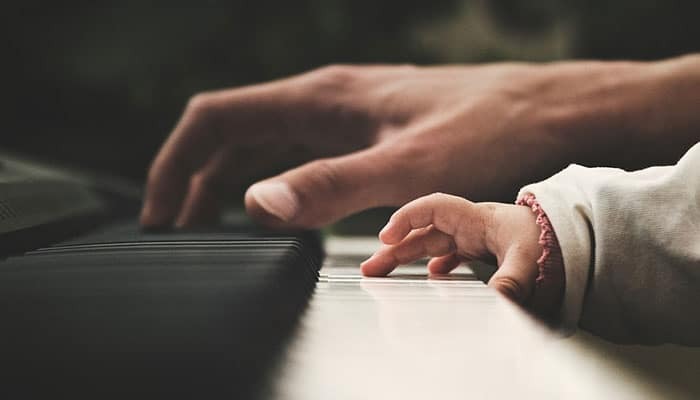 Having a smaller piano can be better for people with smaller hands, as this study suggests. Beginners are going to want a few specific things from their keyboard. Overly complex functions and options can be confusing, but there are some features that are designed to help people learn. These functions include things like play-along songs, light-up keys, and split boards to share with a teacher. Lesson modes are fairly common, even on lower end keyboards, so you should have no trouble finding something suitable. 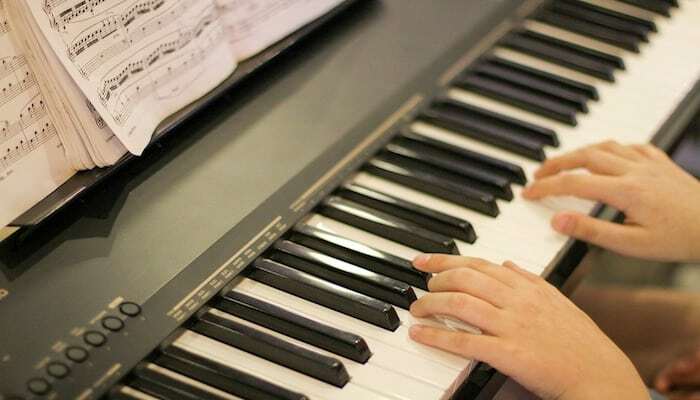 Now you’ve been through and seen exactly what you should look for in an 88 key keyboard, and you’ve got a good idea what some of the options might be, you should be in a great position to find your next instrument. The best way of doing this is to sit down and draw up a list of all the things that are really important to you, whether it’s amazing value or piano-like authenticity, and then cross-check these against the reviews. Eventually, you’ll find the keyboard that’s right for you, and you can be sure that you’ve made a great choice! See the effects of owning a keyboard in this study. Lots of 88 key keyboards can be bought in bundles that include things like stands, stools and more. Look out for these to get a great deal. Electric pianos have been around for around 90 years, with the first well known instrument being produced in 1929.